Saving for retirement is never easy, but target-date funds can eliminate the guesswork in choosing your 401(k) plan investments. In fact, target-date funds are probably the best investment choice for most savers. 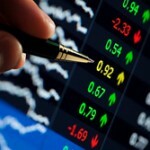 They offer one-stop shopping and set-it-and-forget-it investing — just what most people should be looking for. Use them properly, and your nest egg will probably grow larger than if you tried to assemble your own diversified portfolio. Rather than choosing a mix of stock and bond mutual funds, you select a single fund designed to have the right combination of assets based on when you plan to retire — your "target date." After you choose a fund, its investment managers do all of the work for you. They take care of the investment selection, asset allocation and rebalancing that you might be intimidated by or feel too busy to handle. No wonder target-date funds have become an increasingly popular way to save for retirement. About three-fourths of large 401(k) plans offer target-date funds to their employees. And Vanguard recently reported that more than half of 401(k) participants are now invested in a single target-date fund (TDF), compared to only 13% just ten years ago. But their popularity doesn't mean they're without risk. Here are 5 things you need to know to make this investment option work for you. Fact 1. Your investment choices are limited. 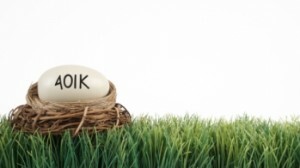 Within a 401(k) plan, you might be offered target-date funds from a single company. If you have no choice, you can't shop for the fund with the lowest fees. And even if the fees are reasonable, they may be higher than what you'd pay by investing in the fund's individual components on your own. The average target-date fund had a 0.66% expense ratio in 2017, according to a report by Morningstar, an outstanding source of independent research on mutual funds. Vanguard, T. Rowe Price and Fidelity manage the majority of target-date fund assets. Vanguard's target-date funds have an average expense ratio of 0.12%, while the other two firms' expenses are close to the industry average. Fidelity's Freedom Funds have an average expense ratio of 0.61%, and T. Rowe Price's Target Retirement Funds have fees ranging from an average expense ratio of 0.72%. The average passively managed fund, which buys shares in all the companies represented in a widely watched measure or index of how the stock market is performing, had an expense ratio of 0.30% in 2017, according to Morningstar. Either average is acceptable, as we recommend you consider funds that charge no more than 1%. Essentially, you're paying a premium to have the brokerage handle fund selection and portfolio rebalancing. When the fund manager does a good job, that premium is well worth it. But the lower, the better. 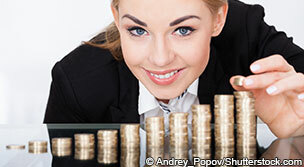 You'll need to investigate the expense ratio of the fund or funds in your plan to determine if they are a good value. Fact 2. Other options may perform better. Target-date funds underperform balanced funds — which also have an investment mix, but don't alter that mix over time — by about half of a percentage point after fees are deducted, according to investment researcher Vallapuzha Sandhya. One explanation: Brokerages funnel investors' money into the brokerage's own funds to increase revenues, not because those funds are great performers. In other words, you won't find a Vanguard mutual fund in your Fidelity target-date fund, even if the Vanguard fund has the best performance and the lowest fees. You'll get nothing but Fidelity funds. But if you don't have the time or expertise to change your own investment mix, you should still come out OK with a target-date fund. Morningstar says that since most people who invest in target-date funds do so through defined-contribution plans at work, they're consistently investing with each paycheck, and since the funds are meant to be all-in-one investments, investors are more likely to leave them alone. We need more years of experience with these funds to get a better idea of whether they really help investors perform better or the current numbers are just a fluke. Fact 3. Target-date funds don't guarantee a return. Even in an ideal world, where every target-date fund was composed with investors' best interests in mind, you'd still risk losing principal. That's true anytime you go beyond totally safe investments like CDs and savings accounts. Many investors don't understand that. In a survey commissioned by the Securities and Exchange Commission, 30% of respondents indicated they think target-date funds provide guaranteed income, while 15% said it depended on the fund and 20% said they didn't know. It's important to know what investments a fund holds and what their underlying risks are. Broadly speaking, domestic stocks are riskier than bonds, and international stocks are riskier than domestic stocks. Looking at how a fund is allocated to these asset classes will give you an idea of how much risk it takes. And funds with the same target date will perform better in some years and worse in others compared with their peers, based on how their underlying investments perform. 7 rules for a successful 401(k) account Here's how to make all of the right decisions so that you'll save more, invest wisely and take full advantage of all the tax breaks available to you. We can't guarantee that you'll be able to build the nest egg you need for the retirement you want. But we can guarantee this: Some savings will always be better than no savings. Fact 4. The fund may take too much — or too little — risk. When evaluating a target-date fund, you need to understand its glide path, or how the fund's asset allocation is supposed to change as you age. If you choose the Fidelity Freedom 2055 fund because you're just entering the workforce and don't expect to retire for 40 years, your initial asset allocation will be about 63% domestic stock funds, 27% international stock funds and 63% domestic stock and 10% bond funds. Over the next four decades, Fidelity will gradually shift your asset allocation to include more bonds and short-term funds and fewer stocks. When you reach retirement in 2055, you'll hold about 40% domestic stock funds, 15% international stock funds, 35% bond funds and 10% short-term bond and money market funds. That allocation continues to become more conservative during your retirement years. Because the glide path changes the fund's asset allocation, the fund may end up selling at lows and buying at highs. Investors are then less likely to recoup their losses than if they held the same investments outside of a target-date fund and waited to sell until the market improved. Keep in mind, you have the power to adjust your own risk by investing in a fund outside your own retirement timeline. If you want more potential for gains, invest in a fund with a target date further out; for less risk, invest in a fund with a closer target date. Fact 5. Mixing and matching leads to the wrong amount of risk. 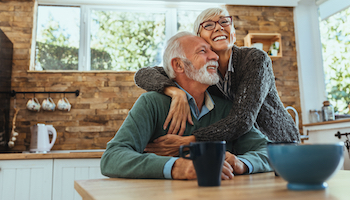 Retirement plan participants who chose target-date funds or other professional help in the form of managed funds or online advice saw 3.32% better annual returns than those who picked their own investments, according to a study of 723,000 workers by investment adviser Financial Engines and consulting firm Aon Hewitt. The numbers should be even better. Investors are messing up their portfolios by failing to invest all of their money in a target-date fund, the study finds. More than 60% of those with target-date funds also had other funds. They only held about 35% of their assets in target-date funds. 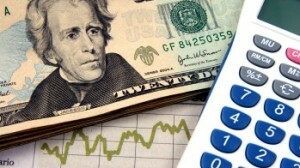 Target-date funds are designed to be an investor's single retirement asset. The study found that using target-date funds as intended would have increased returns by another 2.11%. Using a target-date fund in conjunction with other investments changes your asset allocation and means you're likely to take on too much or too little risk to meet your retirement savings goals.